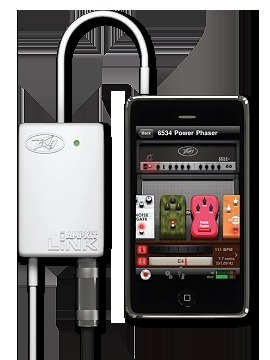 AmpKit, Audio or MIDI interface for tablet/iDevice from Peavey. AmpKit 1.1 is an update to the AmpKit guitar amps and effects app. The update features an iPad interface, audio copy and paste, setup sharing, iPod music library access, new gear, and more. AmpKit and its companion AmpKit LiNK, an electric guitar adapter, provide guitar and bass players with amps and effects simulations across the full range of iOS devices. AmpKit is available in two versions: AmpKit and AmpKit+. The apps and their companion AmpKit LiNK, an electric guitar adapter, provide guitar and bass players with a powerful way to play, practice and record high quality tones anytime and anywhere. AmpKit is part of Agile Partners' highly acclaimed suite of guitar apps that also includes App Store Hall of Fame inductee, GuitarToolkit; 2010 Apple Design Award winner, TabToolkit; and recent iPad and iPhone App of the Week, Guitar World Lick of the Day. AmpKit LiNK is available for $39.99 from authorized dealers worldwide. 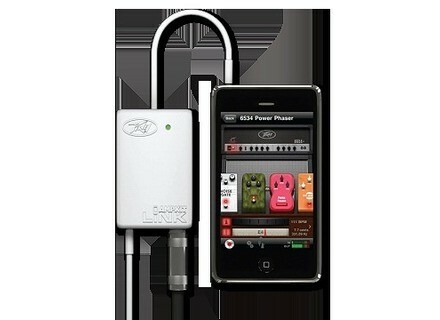 For more information and a full list of upgrades, visit ampkitapp.com and www.peavey.com/ampkitlink. Several FXpansion Updates FXpansion has released updates for BFD2, DCAM: Synth Squad and Geist. TC Electronic PolyTune App TC Electronic has announced that a new version of its PolyTune pedal tuner app is now available in the Apple App Store. Ohm Force X-mas Sale Ohm Force's Christmas Sale goes on again this Friday 17th December.